The ABC has hit back at criticism over its upcoming lifestyle site, and announced a launch date. You can check it out for yourself this Monday. The ABC will launch its new lifestyle website on Monday, as it faces increasing criticism and a federal government inquiry into whether it is moving outside its charter and competing with commercial rivals. The website, to be called ABC Life, will “showcase content on issues important to all Australians — work and careers, health and wellbeing, finance, relationships and family — free from commercial agendas”. It was developed under the ABC’s “Investing in Audiences” strategy, which was announced last year. Guardian Australia reports that 18 journalists were hired to work on the project — almost matching the 20 senior journalists in newsrooms around the country made redundant earlier this year to invest in the ABC’s “digital strategy”. The launch comes as attacks on the broadcaster increase. It is currently facing a competitive neutrality inquiry by the ACCC, which is taking submissions that included one from Fairfax — about to be taken over by Nine — that criticised the ABC for using government money to produce “clickbait”. Commercial media outlets say the ABC should focus on high-quality and specialised content, not content and stories that chase ratings or clicks, and that are already produced by other outlets in the market. The ABC is conscious of this. In the press release announcing the new website, there are two references to the new website being free from commercial or advertiser interests. Managing director Michelle Guthrie has argued, repeating the ABC’s submission to the inquiry, that the ABC needs to meet the changing needs and habits of Australians, and that providing digital content beyond public interest journalism was within its remit. The launch of the site only adds more fuel to the calls for the ABC to be reined in. 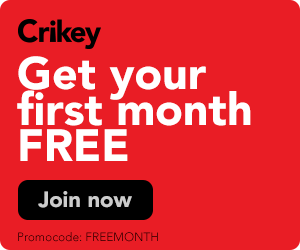 The Australian has been referring to the site as a “BuzzFeed page for the ABC” and Free TV CEO Bridget Fair has said lifestyle is already “one of the most comprehensively covered market segments in Australian media”. The ABC has responded to the criticism with one of its now-regular “correcting the record” statements, including quotes attributed to ABC staffers. Recent media reports on the upcoming new ABC digital site ABC Life have promulgated incorrect information based on nothing but anonymous quotes attributed to alleged ‘staffers’. 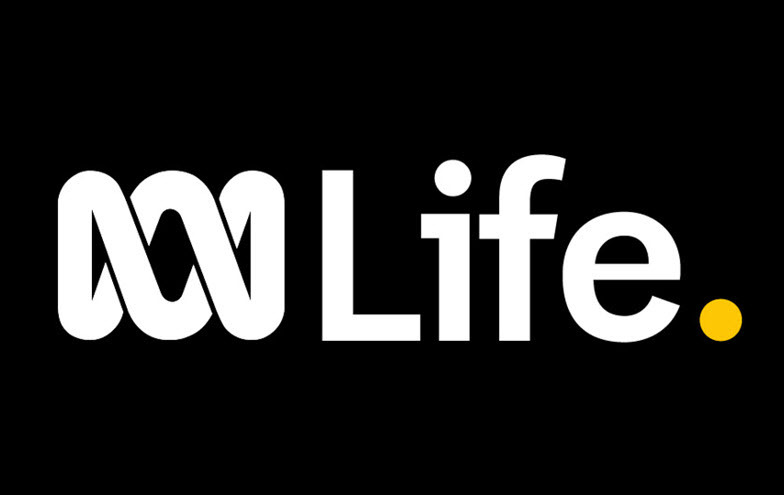 No authorised, discoverable ABC spokesperson has made the statements that the purpose of ABC Life is ‘to replicate content that does well on commercial sites’ or that it will be a ‘BuzzFeed page for the ABC’. While the ABC does not disclose internal financial details, the figures put on the ABC Life budget have been grossly inflated. Meanwhile, the competitive neutrality inquiry continues, and the website is something it should consider, Communications Minister Mitch Fifield has said. I hope it is not shallow with no intelligenvce like the commercialised no brainer “War on Waste”. “War on waste” is a negative term so it is likely to have a negative affect on people. “ABC Life” is a positive term, if you are not dead that is and will have a positive affect on people. I think I’m over “lifestyle”. Isn’t that something that went wrong with Fairfax? Should ABC and SBS be merged – for a country with only small population -equivalent to 1 city overseas – waste of taxpayers money to have 2 publicly funded operators. Publicly funded airlines, banks communication have all gone [Qantas, Commonwealth Bank, Telstra] – why not rationalise broadcasters without get rid of them all together. I think that the ABC is barking up the wrong tree. The result being, that to finance this idea money has been diverted from what had been a quality TV station to some pie in the sky dream. The war on waste program I and My friends think is a well worthwhile program. It gets through to people and helps to solve a major world problem. What is your beef with it? If this isn’t a result of Guthrie’s remit of a race to the bottom, thus making the ABC worse than a waste of time, space & money, I’d be very surprised. Next will be ads. though by then it will be hard to guess which station one is watching and not worth the effort of doing so. To imagine that they’ll attract a younger audience is beyond risible – the sort of thing oldies imagine. It’s all over the ABC radio as well – listen to those brain damaging stings/promos. after each hourly news on RN featuring kiddies with Valleygirl inflections extolling the virtues of news ideas – how is that meant to attract anyone, let alone a younger audience? Michelle Guthrie has embarked on a foolish exercise with ABC radio. She has lost audience on the breakfast programs, in the vain hope of getting a younger audience; getting rid of well-respected presenters and replacing them with younger duos, who think they are funny. They’re not. On RN she has substantially altered the programming which was excellent. It now has too many lifestyle programs presented by self-indulgent broadcasters. I used to be able to leave RN on all the time. No longer, it is now off more than it is on. The resultant drop in the ratings is not surprising. Michelle Guthrie has no media experience and no knowledge of the ABC. She has been a disaster. Nope, sorry, misread the article. I thought they had re-employed the previously sacked journalists. Not heartwarming after all. This is a conspiracy. Guthrie has deliberately created a product that plays right into the hands of critics. How wad this not a deliberate way to undermine the ABC. Agreed. Exactly the same thing happening at the BBC. Once a Murdoch always a Murdoch. She’s been set up by political neoliberalism to take the quickening battle between public interest and private profit media for the future of human epistemology firmly onto the Rosebudian end of the field. So of course the ABC’s lost that fight/future already. You can only win information wars by not fighting them. It’s of no great import. For all the blah about diversity of voice and access and reach and civic journalism providing a unifying, national character-reflecting, storytelling campfire – or you might prefer Richard ‘will I still get a new photo shoot for every moonlighting commercial meeja column I snot out for Nine’s brand of GW?’ Glover’s town square (where of course the village idiot can traditionally be found) – the ABC has for years really just been a fiercely cliquey retirement home/dotage sheltered workshop for an underwhelming cohort of narcissistic, overpaid, fading Boomer info-celebs and executive-careerist leftovers from the mass media’s alleged ‘Golden Age’. That lot couldn’t take a strategic info-fight up to an off-the-rack WordPress blogsite. Nope: Teh Webz it must be, Citizens of the RoL. To the info-barricades, huzzah. Well Mr Mitch Fifeild, leading IPA member would consider any life in the ABC as a bad omen, what would Rupert say? So the Fifield/Guthrie transition of 20 potentially intrusive journalists who could be problematic for the Coalition/Murdoch Govt, to 18 fluff piece writers is meant to get the “Save our ABC” brigade up in arms? Well I’m going to wait and have a looksie and if I like what I’ll see I’ll be happy and if I don’t I can bag the crap out if it on Crikey with all me mates so it’s a win win for me.